A cam sync signal is required to run sequential fuel injection. This tells the ECU which cylinder is cylinder #1 (or the first cylinder in the firing order as entered in the software). 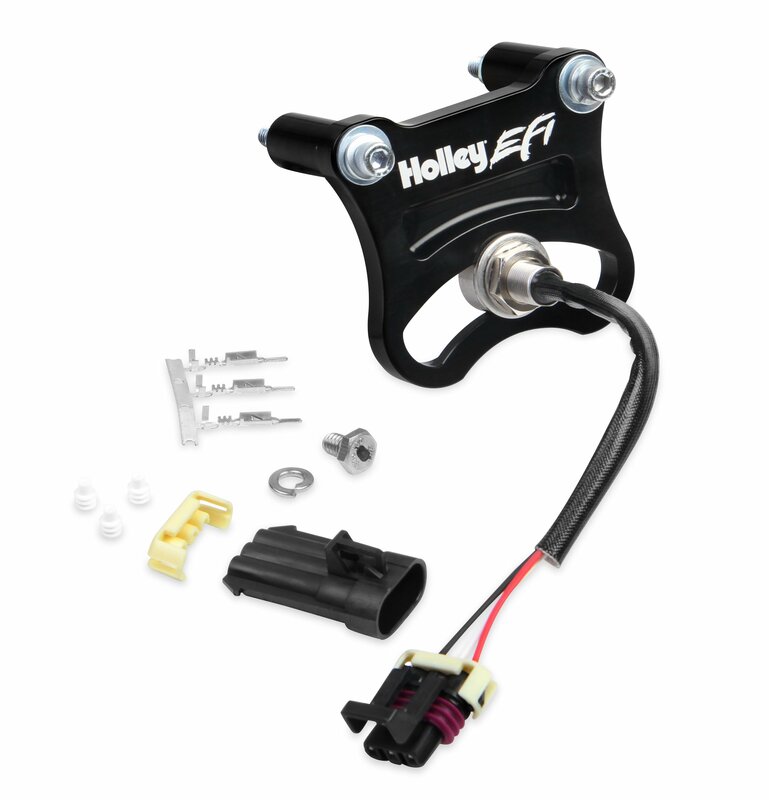 These kits were specifically designed to provide a "plug-&-play" cam position signal to Holley EFI systems, although they may be used with any EFI system which can read a digital, square-wave input cam signal. They are intended for use with Big Block Chevy engines with a +.400" raised cam height & (Jesel or similar) external, dry timing-belt, cam drive systems.